All around you the dramatic sandstone peaks of Suliven, Canisp, Quinag, Cul Mor, Cul Beag and Stac Polly stand in splendid isolation over the cnoc and lochan landscape. 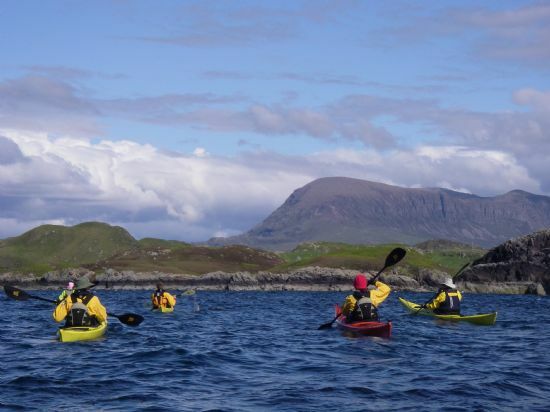 Your days will be filled with awe-inspiring views of mountains near and far with the distant allure of the Outer Hebrides. The elements will decide our daily journeys and each trip will be tailored to the needs and wants of the group. 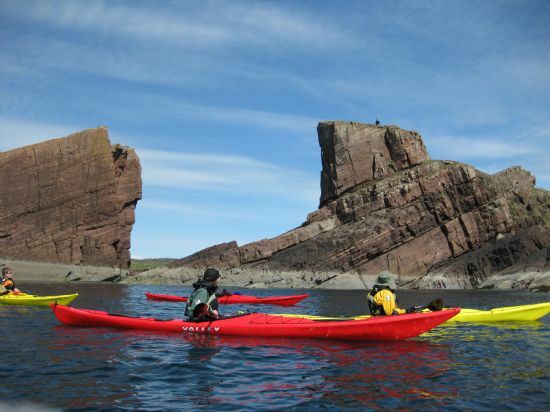 This area is famous for its geology and you will be paddling amidst Scotland's first Geo Park. 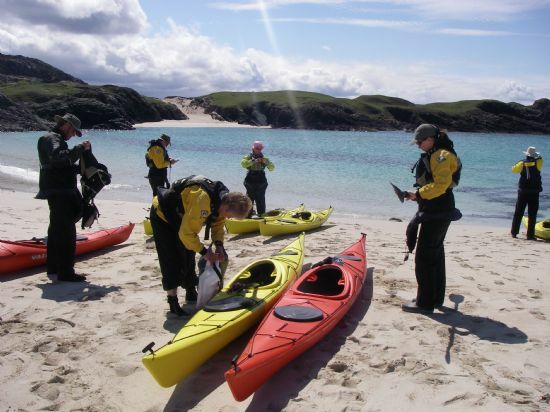 Heading south we will explore deserted islands, wild coastlines, natural rock features and white-sand beaches. 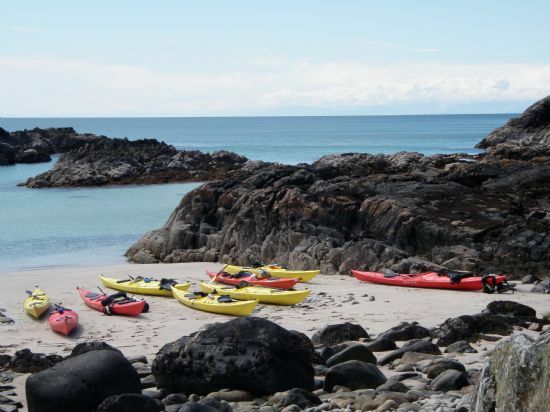 We will travel northwards along the rocky coast of Lochinver, past white sandy beaches, arches and caves, where we will fall upon the crofting hamlets of Clachtoll, Clashnessie and Stoer. This area is steeped in inspiring history and arceology and on our jouneys we will come across the remains of an Iron age Fort and a meteorite impact site. 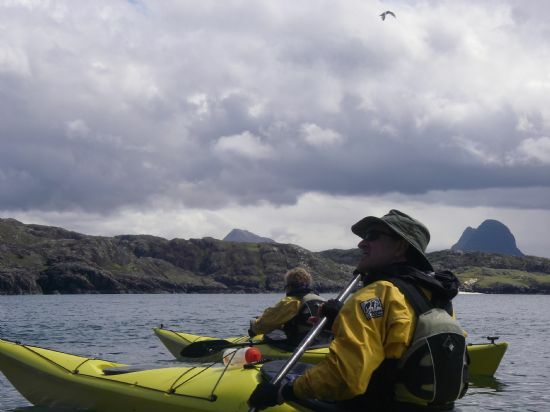 On a windy day we may head to a secret island where we will be surrounded by a sea of inquisitive seals. 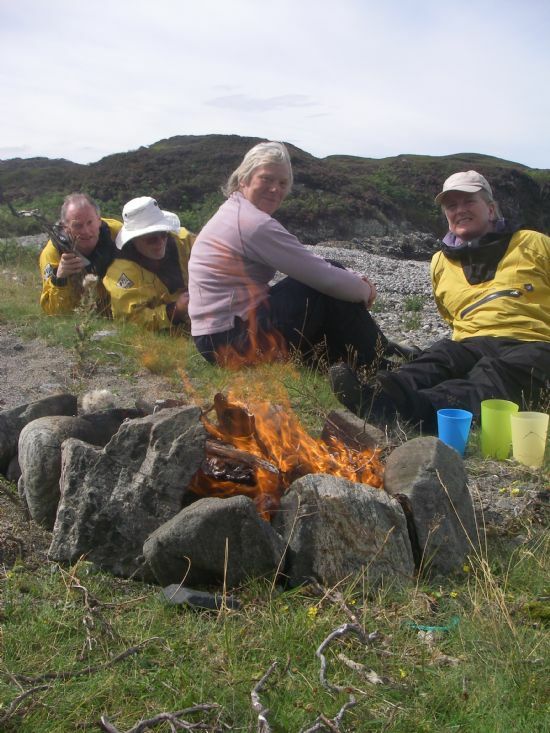 A trip to Handa Island, a Scottish Wildlife Trust bird reserve will be a day to remember. On the sheer Torridonian sandstone cliffs, rising vertically from the Atlantic, nest some 180,000, birds, puffins, guillemots, razorbills, skuas, fulmars and kittiwakes. We may explore the north coast of Assynt which will take us to the remote Eddrachillis Islands & the caves of Calbha Beag. 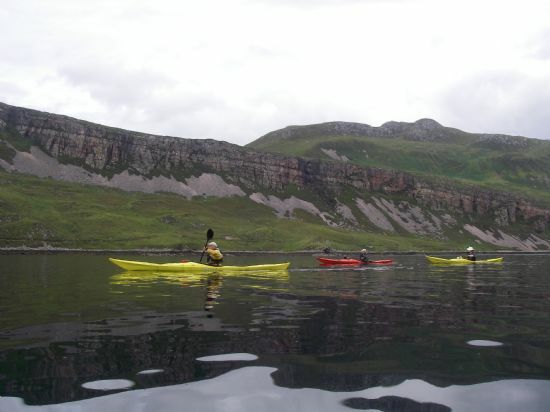 A trip round the coast still further will lead us into Loch Glencoul, one of the local breeding ground of the 'common seal' and to the Uk's tallest waterfall, 'Eas a' Chual Aluinn'. 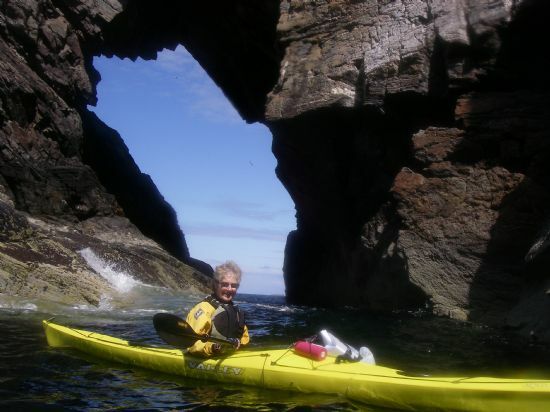 The Assynt coastline is alive with wildlife, from otters, to seals, to puffins and basking sharks and of course the passing dolphin’s, porpoises and whales which make their way north around Stoer Head.This week will open up many of the magical places Assynt has to offer and leave you wishing for more. 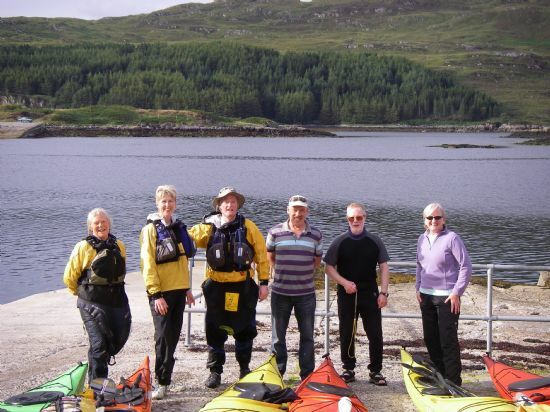 You will be based in Glencanisp Lodge on the Assynt Foundation’s community owned estate. 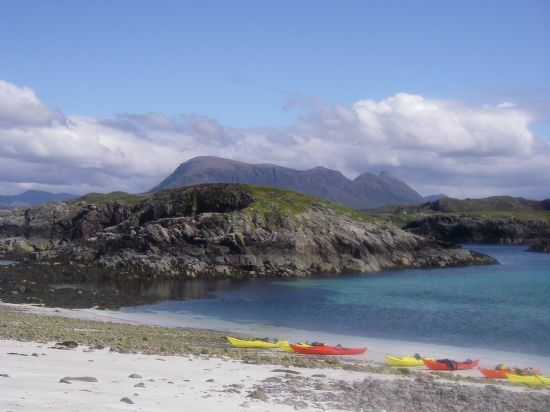 It is set in its own grounds, 10 minutes from the picturesque fishing village of Lochinver. Here you can relax in the lodge itself, in the woods or by your own private loch at the end of the garden, or go for a gentle stroll in the fresh air of the virtually deserted 44,000 acre estate right on your doorstep. With all-abilities access and accommodation, plentiful living space and stunning views of the Assynt mountains, Glencanisp is a perfect escape from the modern world. 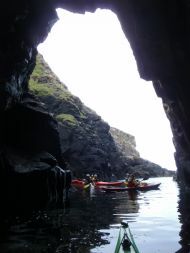 To view the fantastic accommodation for this trip, please click on the link below.